Competition has increased a lot and now only the fittest will survive. Amazon is a great platform to get started but it is not the only sales channel out there. If you truly want to build a brand and beat the competition you need to branch out into other sales channels including other Amazon marketplaces. On top of that, most importers don’t even know that they have to meet certain country regulations. Governments, retailers and eCommerce channels like Amazon will become stricter and stricter. You need to stay ahead and be fully prepared of what's to come. Simply buying a product in China and putting it on Amazon won’t guarantee your survival anymore! You’ll want to be better than the rest out there and bring your business to the next level. Most courses out there only focus on a specific strategy which might not be viable anymore. What we offer is something no one else does. We looked at all parts of building a business and a brand not just on Amazon but many other sales channels. You need to look at long term strategies. Amazon can close your account any day without prior warning. You’ll want several income streams and have ultimate control in every part of your business. We’ll show you how you can build trust with your customers and turn this into a powerful tool to increase sales. From pricing and inventory, to closing deals with large retailers that will help exposing your brand to new audiences, this course is all about giving you the confidence to expand your business further. Amazon is still the most popular sales channel, and selling on there will always be viable and it will grow even more in the future. However, the point is to diversify and secure your survival. Even if you are already selling a few products on Amazon - Don’t stop there! Your products might sell well on other channels too. Imagine if you already have a lot of products on Amazon, you can take those same exact products and expand into other sales channels - the opportunities are endless! This course will stand the test of time because it looks at the bigger picture of an Ecommerce business and does not focus on just one sales channel. Even if you’re an established seller, chances are you’re still looking at new products to sell right now! This module will help you devise a strategy to launch great products - each and every time! But that’s not all, a unique brand is ultimately more valuable. That’s why we have dedicated a complete section on patents and how to analyze your competition effectively. Remember, generic products are not working anymore and if you truly want to innovate, you need to have Intellectual Property unique to your brand. We’ll also show you in a unique and foolproof way how to find innovative products. Having a strong legal structure behind your business will be vital for your success. For this reason, we have researched the best countries in the world to incorporate your business. The main goal of this module is making your business more attractive to investors, especially if you want to sell your business down the road. A strong business is also a profitable one! You might agree with us that in this business, fees can really kill your profit margins. However, we have got you covered in our business banking section. We have done extensive research on the best business bank accounts, currency exchange and transfer accounts to make sure your brand saves money and becomes more profitable. Knowing your target audience will be essential if you want to build a raving fan base that purchases every product you launch. When it comes to building audiences in your market, there is no better way than having a social media strategy. We have asked around in groups launched questionnaires and polls and the issue most people have these days is actually not sourcing or PPC or inventory management - but how to launch a product. I truly believe Influencer marketing and having a strong social media presence will be your KEY tool for the years to come when launching products. Influencer marketing is exploding right now and it will be the only way to get your product off the ground! In this module, we will guide you step by step through all the social media platforms and how you can successfully build an audience behind your brand. Having a social media strategy in place is not only vital to get your brand noticed, but also to drive sales and get market share from your competition. Building social media presence is not a sprint but a marathon. I am not going to lie, it will take time to build an audience, but if you start now, you’ll have the most powerful tool on the market. The best part is that we will not only give you a clear strategy on how you can drive insane amounts of traffic to your Amazon listing, but also to your website. Younger audiences are also moving away from traditional sales channels like retail, and they are shopping on social media. After going through this module, you will have a platform where you can connect with your customers and showcase your products freely. Last year I released a case study on how I private label a generic product in China and showed you everything from finding suppliers, getting samples, placing orders and contracts with suppliers, getting the entire manufacturing process done, inspect, label and ship the product from China directly to Amazon. 6 months in, I became the No.1 Bestseller with this product and I still sell it to this day. This course has been purchased over 1000 times and has received widespread acclaim on podcasts, webinars and blog posts. You’ll get the entire module (over 54 chapters) within this course. It will teach you everything you need to know about the manufacturing process in China as well all the basics of selling on Amazon. This will set you up for any product you wish to private label or manufacture. I’ve been in retail for over 18 years now and that’s where I actually started out. I’ve built a 7 figure retail business before even moving onto Amazon. I’ll discuss retail in detail and how you can reach out to retailers. I’ll show you how I find retailers in a foolproof way. I’ll show you how I prepare marketing materials that you can send to retailers and how you can follow up and push for sales. You’ll also learn how to price your products to retailers and which contracts you need to prepare beforehand when you work with them. I’ve made profits as big as 50,000$ with retailers in one day and I will show you how you can do it too. 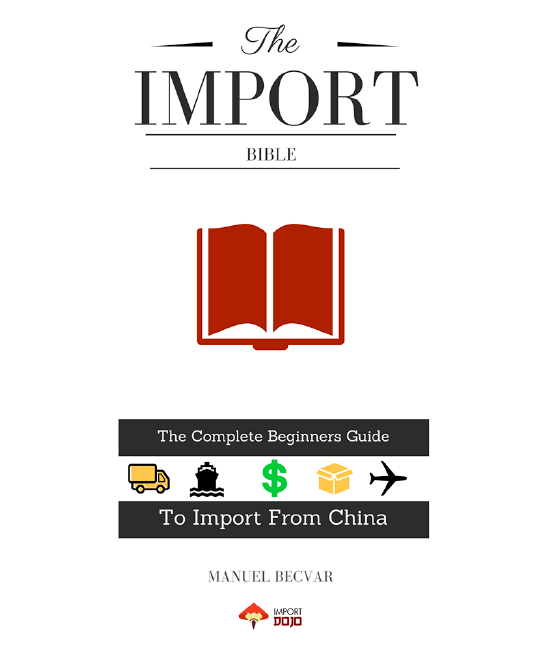 Have you ever wondered what you need to meet legally when importing from China. Are you worried about test reports, customs and what national laws and standards you need to meet when you buy a product from China? Are you worried that your product might get seized at customs? Not sure what test reports you need when you import something? Get a practical roadmap to ensure compliance with all mandatory safety standards & labelling requirements for Europe and North America. ave you ever looked up a regulation and understood only half of what you need to do? Have you ever contacted a test laboratory and been quoted thousands of dollars in testing costs? Did you ever wonder how you can make your product compliant but don’t know where to save money? I’ve made it very easy for you. I’ll explain everything in laymen’s terms and hand you tools and resources that will help you navigate through all the mazes of regulations and standards. This is just a brief overview of the entire course. There are many other modules that will help build and elevate your brand. Our ultimate goal with this course to is help you build a business that is stronger, profitable and more successful than your competitors. After going through our course, you will have learned how to take control over your business and build a brand loved by its customers, in any market you plan to sell. So join us today and learn how to start a global brand & build an ecommerce empire. A complete course on how to find your rockstar product, study the market & create innovative products for your brand. There is a common misconception that building a brand is difficult. While in some cases that may be true, what you need to build a brand is two things: 1. Knowledge about your target market and audience. 2. Acceptance of the fact that brand is a long term strategy. Big multinationals that we know and love have built their empire over decades. However, the advantage that we have today is that all the tools and knowledge are out there to help you get on the right track. This module is all about pointing you in the right direction and not only build a brand that’s loved by its customers, but more importantly, a brand that you’re proud of. Fail to understand the proper way to incorporate. Get scared to register a company offshore. There was a time where you can just pick any product, in any market, and it would sell well on Amazon. This is not the case anymore! To truly succeed in a product based business, you need: 1. Products that are above the competition. 2. A complete understanding of the market you’re selling to. 3. The ability to think outside the box and find opportunities. 4. A brand your customers love. This will give you the ability to create unique and innovative products that your market wants and loves. What separates big brands from small ones is that they have a raving fanbase willing to buy any product the company launches. In this module, we will teach you how to analyze the market, find out their interests and creating a product that meets that market demand. More than giving tools, this module is all about giving you a strategy and an opportunity to make your ideas come to life. Whether you want to build simple gadgets or innovative products that will blow away your competition, this section will have everything you need to start creating unique products that you’re proud of! Do you still worry about your importing business sometimes? Wouldn’t it be nice to have it run like you have been running it for a long long time already? Of course it would. Business feels great once routine settles in. This is exactly the point I want to get you to and with this case study you can see a complete product launch that starts from finding the right product, the right supplier and shipping it to Amazon, promoting and selling it. Every little step is documented with a over 50 video tutorials that shows my screen and you can even listen to me talking to suppliers. Best thing about this, I’ve used my own money and try a lot of different things so you can see what works and what doesn’t and learn all this without running your own trial and error experiments. Follow along as I sell out after 7 weeks and make over 10,000$ profit in the process. See how I ended up as No.1 Bestseller in this super competitive category on Amazon after 8 months. I start off by getting basics done like preparing simple files and documents that will help you organize things. I get started by researching the product on Amazon with Junglescout and then begin to evaluate my product idea. I collect ideas how to improve the product and research eventual regulations and certifications I have to meet. I walk you trough how I prepare the inquiry to the supplier. With a simple yet very effective excel file I get ready to find suppliers I then look for suppliers on Alibaba. I show you exactly how I filter the suppliers, weed out the bad ones, how you can spot them and eventually sending them the inquiry. I receive the first offers and evaluate the suppliers briefly. I’ll show you how you can effectively find quality suppliers what their emails and offers tell you and how you can already estimate your landing costs. I also look into preparing a gift box, instruction manual as well as photography for my listing. I further evaluate my final three suppliers and collect all the information I can possibly get my hands on to make a calculated decision with the smallest risk. It’s also time to get the Amazon account started and I’ll walk you trough signing up for Seller Central. You’ll learn how you can finalize the costs, contact a freight forwarder and get quotations for freight costs and what you’ll need to get those You also get 2 forwarder contacts that I use on a daily basis, both of which are trained to deliver to Amazon directly at very low costs. You’ll learn an important step before placing the order – testing your samples and preparing the listing on Amazon. I’ll also show you how you get shipment labels and barcodes that your supplier can print out and put on the product in the factory in China. I walk you trough very important things like contracts, exclusivity agreements and how you can protect yourself when placing the order in China. We’ll also look at my packaging and insert card. Great templates are available in this section to help you protect yourself. I am getting my website as well as my Amazon listing ready and finalise my shipment plan on Amazon. I then coordinate the shipment with my supplier and forwarder. This part will help you sail trough the logistics, customs and import duties maze with a breeze. Finally – the product is in production and I am excited. But not before I let a Third Party company inspect my goods at the factory. In this module I’ll show you can easily book inspections with a reputable third part company online at very low costs. While my product is in production I finalize my Amazon listing and get my website ready. I also prepare my launch strategy and show you how you can launch your first product successfully. With a minor hiccup I get my product to leave from China after 5 months of work. I am excited about this stage and give you a recap on what worked well and what didn’t go so well during the entire process. Not everything goes perfect and I recap the entire project and you can learn from my mistakes. The moment of truth has arrived. My product arrives at Amazon and I launch trough various channels. I reach 10,000US$ in sales after only 16 days. I update the case study 6 & 8 months later. In month 6 I have sold over 2500 pieces and make a monthly profit of 3500US$. After 8 months I reach the Bestseller spot and have sold over 3500 units. If you don’t sell yet, simply sit back and watch the whole process and you can leave all your worries and anxiety behind. Feel confident to launch your own business and become financially independent or simply make your existing import business more efficient. This is it! Can’t be easier! Social media has become an essential platform in today’s society. Businesses who choose not to market on social media networks go unnoticed. This is why you need to be on social media as soon as possible! Why is having a social media marketing strategy vital? No other tool has the ability to exactly find and target your ideal audience. Social Media is constantly growing and evolving which makes it a great tool to showcase your brand and products. But the great advantage about social media is that your brand can quickly get noticed. A few years ago, your brand would go unnoticed unless you were willing to drop thousands of dollars in traditional marketing methods such as billboards, commercials or QVC. Social Media gives you the ability to quickly gain a fanbase and attract the right audience for your brand. Amazon is still the biggest ecommerce platform in the world, so naturally, we have a whole module! However, this module will be very different from any other Amazon course out there. In the start of this module we go over the pros and cons of selling on Amazon today; while discussing the recent changes that affected the platform. While this course is all about expanding your brand or products into other sales channels, having leading market share on Amazon is also beneficial for your business Reviews are the single most important aspect when selling on Amazon. A product with great reviews will not only sell more, but also helps the brand get more established. Unfortunately, getting reviews today is somewhat harder than it used to be due to the recent changes on the Amazon platform. Fortunately, we have a strategy to gain positive reviews while greatly improving your brand’s customer service. Amazon appreciates sellers who go out of their way to enhance the customer experience and by using our strategy, your customers will happily provide great feedback and review. Logistics are an important part of the E-commerce business. While the introduction of the Fulfilment by Amazon(FBA) program has made things easier for us sellers, FBA has some major disadvantages for seller who are looking to expand beyond the Amazon platform: ● Storage Fees are increasing year on year. ● Too many packaging requirements. ● No custom branding on shipping boxes. ● A lot of other fees that can reduce your profit margins. Don’t get us wrong, the FBA platform is great if you only plan to sell on the Amazon marketplace. However, that’s not the goal of a brand, the goal of a brand(aside from having great products) is to expand into other sales channels and have control over pricing and profits. A Deep Look Into Fulfillment Centres In this section we will guide you to the types of fulfillment centres around the US and EU. Each of these fulfillment centres can integrate with both Amazon and any other E-commerce platform - making selling and shipping extremely easy. The ultimate goal of any brand or company is to get their products in front of as many customers as possible. The only way to do this is by listing your products through all the sales channels that are available to brands. The most powerful offline sales channel is retail and wholesale. Retail has the power to move your product quickly, thus getting huge exposure for your brand and products. Retail is notoriously one of the hardest sales channels to get into. Your products must not only be appealing to consumers, but also packaging and marketing materials have to be of a higher standard than E-commerce. However, one of the hardest challenges is finding retailers who are willing to take on a new brand and its products. Retailers often don’t take huge risks with their capital and prefer to invest in brands that are already established. Larger items also have the issue of shelf space; which in retail is limited. This module is all about showing you the strategy and techniques used to find and contact retailers the world over. I have extensive experience in getting my products into retail or wholesale and this module is all about me sharing my knowledge with you.